« Question: What Does It Look Like When You Timelapse A Marathon Coming Through Your Part Of Town? 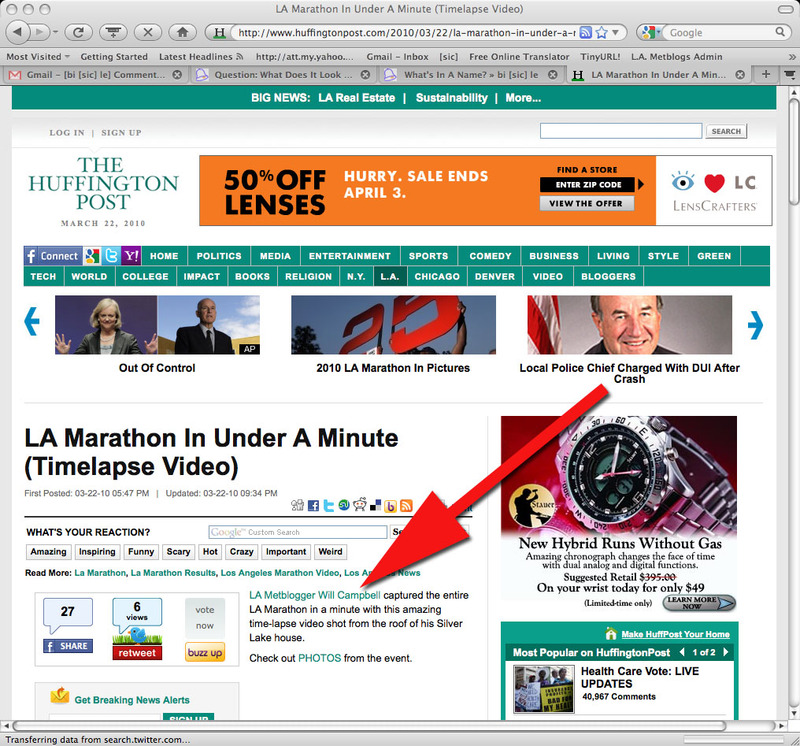 This entry was posted on Monday, March 22nd, 2010 at 8:49 pm and is filed under media, news. You can follow any responses to this entry through the RSS 2.0 feed. Both comments and pings are currently closed.